Alice is a good witch. And Greta... well, Greta and trouble are never far apart. Alice spends her time helping others by weaving her enchanting spells. All Greta does is wreak havoc. But when a forgotten spell comes back to haunt her, Greta's stuck learning something she should have learned long ago. 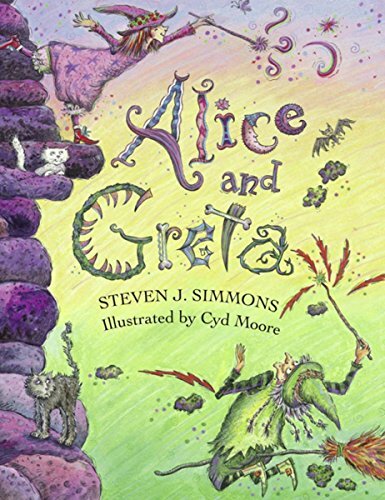 Steven J. Simmons is the author of the best-selling children's book, ALICE AND GRETA: A TALE OF TWO WITCHES. He was inspired to write the story while playing with his children on a hill behind his home. In an interview on "The Today Show," Steven said that he felt a "spontaneous combustion" as the story took shape in his mind. He visits schools and reads his stories to many classrooms full of eager listeners.